enki Endoscopy Report Writer removes challenges of compliance, speed and efficiency for gastroenterologists. By using secure, HIPAA compliant cloud technology, enki users continue to stay compliant – never requiring expensive software upgrades. NextServices announced GIQuIC certification for its easy-to-use enki Endoscopy Report Writer (ERW) that helps gastroenterologists remarkably simplify quality reporting. enki ERW integrates with endoscopes to capture realtime procedure images. Doctors can easily annotate and label images using a proprietary clinical dictionary based on Minimal Standards Terminology (MST). Algorithms automatically check GIQuIC requirements as the doctor completes operative notes and alerts users for non-compliance. The data can be exported in formats as required by the registry. NextServices works with some of the largest gastroenterology groups in the country in the areas of revenue cycle management, EHR, and compliance. 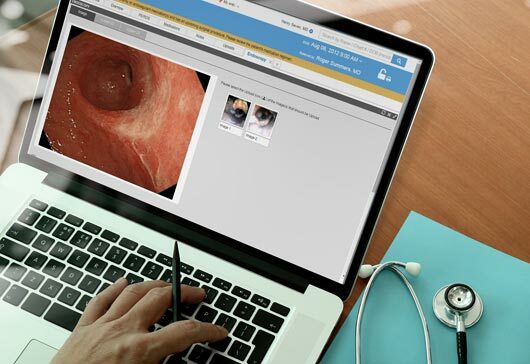 enki is the most advanced endoscopy report writer available in the market, suitable for busy endoscopy suites that wish to benefit from cloud-based technology. enki Endoscopy Report Writer is part of the enki Health IT product platform that includes certified cloud/mobile EHR for offices and surgery centers, patient engagement portal, and telemedicine system. Learn more about enki ERW at http://www.nextservices.com/endo or call (734) 677 7700.